Music marks some of most important occasions in our lives, from weddings to funerals. We know intuitively that music can affect mood or set an occasion. Now new research suggests that performing music or singing together may be particularly powerful in developing social closeness through the release of endorphins. It can literally create a sense of group identity. For more than two decades, two people at St. John’s have been working to bring us closer to each other and help us come together as a congregation to glorify God—Wes Revels (1993) and Mary Ann Helton (1999). As we consider all the families who have grown up under their music and tutelage, the harmony of the men’s chorus, the chancel choir, and the handbell choirs (children and adults)—their impact is monumental. Concurrently, Mary Ann was the choral director at Rock Hill High, when she finally retired in her 36th year in 2009. “That was my calling,” she says, “but work at St. John’s was also a joy as well as service.” Additionally, she formed the men’s chorus in 2010, has participated on a Nicaragua mission trip, and delivers food via Hunger Outreach every month. Wes has helped foster a love of music in many piano and hand bell students, has played hundreds of weddings and funerals, and served as the Mother of the Groom during the St. John’s Womanless Wedding. They have both helped with VBS, with Wes once breaking his arm on a pew the first day! Wes and Mary Ann have been a dynamic duo, effortlessly accompanying each other, even during moments of crisis. There was a time on Christmas Eve when the organ got stuck, and Wes rushed to the basement to cut the power to the organ. Not missing a beat, Mary Ann went to the piano to keep the music going. As the adage goes, the show must go on. And that’s one of the things they’ll miss the most. When asked if they ever anticipated staying as long as they have, neither did, but they enjoyed it every day and will miss all the people very much. But retirement isn’t the end, it’s just one more movement in the musical composition of their lives. Mary Ann grew up at St. John’s and will continue to serve faithfully on the missions team and lead the First Sunday Food Outreach team beginning in July, but she excited about traveling more and spending time in the yard. Wes has promised to come back to visit and will keep in touch, but he is eager to spend more time at the beach, write some music, and study photography—his photo of the fountain at Fountain Park on Easter morning was recently featured in the Down Home magazine published by The Herald. He will also continue to teach private piano lessons. However, in all seriousness, Wes and Mary Ann didn’t strike it rich in their music ministry, but they have achieved a success beyond riches and fame. They have touched the lives of generations here, fostering a love of music, uplifting hearts with favorite hymns, and all the while glorifying God in their ministry to this church. They have given us beautiful music, and we are better—more united—for it. We wish Wes and Mary Ann the very best and much happiness in their retirement. Please come congratulate them during a reception in their honor after the 11am service on Sunday, June 25th. Q: What’s a song you never get tired of hearing? Mary Ann – I hope to finally get my house cleaned out (laughs). But I just want to enjoy each day, work in the yard, do some accompanying at Winthrop. And more traveling. Wes – I will go to the beach more often. I’ve always enjoyed photography, but I want to learn more about photography. I want to write some music. Q: How has the music program(s) and your involvement changed since you started? 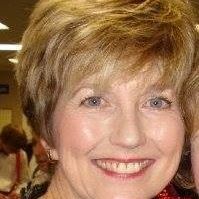 Mary Ann – I founded the Men’s Chorus in 2010, and I’ll continue to lead that as long as they’re interested in singing. As to how things have changed, I think the number one change is commitment. Church used to be where everything happened, and now many folks are gone on Sundays. Wes – St. John’s was one of the first churches to have a handbell choir. We still have an active handbell program and have the original bells that go 5 octaves. We now have three worship services each Sunday, as well as a Taize meditation service during the Lenten and Advent seasons. I started the Lessons and Carols service in 1993 and is now a tradition at Christmas time each year. Q: What drew you to music, and what was the path you took? Mary Ann – I grew up in this church. My mother always wanted to do music—to play piano—but she was raised in the depression-era and couldn’t afford it. So she had me take lessons starting in 2nd grade with Mrs. McCrory. Mrs. McCroty said I had talent and I moved to a Winthrop teacher, Mary Elizabeth Dunlap. I had to practice 30 minutes every single morning. I continued taking from Ms. Dunlap, who told me to get a musical education degree. I wanted to be a music teacher. So I went to Florida State and got a Master’s degree in choral music. My first job was in elementary school, but then I went to Rock Hill High School as their choral director for 36 years. That was my calling. This work at St. John’s has been a joy, but it’s time for young blood with stars in their eyes. Wes – I always wanted to study piano. I started 2nd grade and went each year until one time in middle school, I told my mom I was quitting – and she turned and looked at me and said NO you aren’t. That was the last time I ever said I would quit, and I never did. I went to a private boarding school in Kentucky and music was pervasive—wonderful. Then I studied at Southern Wesleyan University, University of Georgia, and Winthrop. I’ve served ARP, Lutheran, Disciples of Christ, and Methodist denominations. Being Samuel Wesley, I had to be Methodist. During my tenure at University Lutheran in Clemson and at Ebenezer ARP, a pipe organ was installed. The organ at St. John’s was installed in 1924 and renovated in late 90s while I was here. We also purchased three new (wonderful) Yamaha pianos. Q: How did you get to St. John’s? Mary Ann – Well, I grew up in this church! I came to work as interim in 1988 and stayed until 1993. Then I came back in 1999. Wes – My wife, Pam, and I were doing a duo piano recital for a music club in our home. St. John’s member, the late Margie Hood, asked me if I was looking for a change. I had been serving for the last 11.5 years as the organist/choir director at Ebenezer ARP. I applied and was hired at St. John’s and my first Sunday was June 13, 1993. Q: Do you have a favorite memory? Both: Christmas Eve service. We have the best seats in the house. The people and candles is magical. Another favorite is the Ascension stained glass window at the rear of the sanctuary. It is beautiful at sunset, and they enjoyed seeing it during Wednesday night choir practice. And then there was the story about the organ going off during the middle of a sermon and Chico the monkey….